Readers, this post is applicable only if you are a positional trader / investor. Nifty made a good runup from lower levels over the past few weeks. Yesterday 29 Jan, it hit a new 52 week high after the RBI policy was announced. This was followed by good selling and market ended in red. If you look at the daily chart of Nifty, there are clear divergences in MACD, RSI and Stochastics. 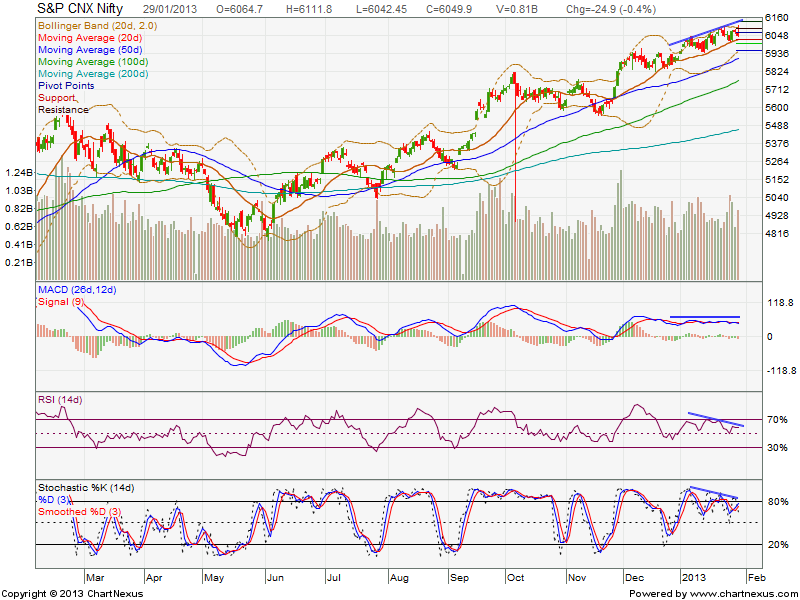 There is a very good possibility of sharp correction before Nifty resumes its uptrend. Please maintain SLs. This could also give good intraday opportunities for short selling.